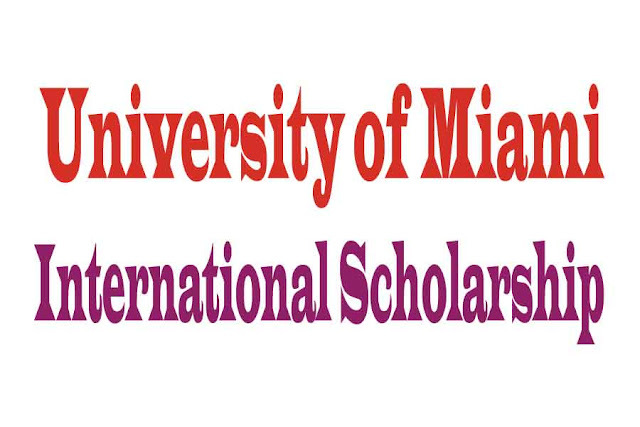 The University of Miami has invited new international students to apply for undergraduate students. Actually, the University of Miami is a private research university with approximately 10,000 undergraduate students from all over the world. It is located in Coral Gables, Florida, USA. It always offers the students best awards, scholarships etc. within a small campus but setting with very large academic and cultural opportunities. The applicants whose mother tongue is not English, required to prove English proficiency at the higher level by the University of Miami. Study Subject: Scholarships are awarded to study the subjects offered by the University of Miami. President’s Scholarship: The applicants who selected to receive a scholarship will take the most challenging curriculum and will earn the highest grades. Then they are automatically considered for the president’s Scholarships when they for admission to the University of Miami. They will be notified no later than the end of March via his/her CaneLink account by the office of undergraduate admission. The students who apply for a second Bachelor degree will be eligible to receive a President’s Scholarship. Academic Scholarship Amount: $18000 to $28000 annually. Canes Achievement Award: the students who show the outstanding performance will get this scholarship too. Amount: $5000 to $28000 annually. These all scholarships are full tuition. The scholarship can be taken in the USA. 1. International candidates must submit a complete application for admission with all academic credentials with including a bank letter. 2. Students are automatically considered for the President’s Scholarships when they for admission to the University of Miami. The University of Miami Authority will consider high school grades, the difficulty of the course curriculum, extracurricular activities, essay, and guidance counselor recommendation as well as overall quality of applicants. The SAT/ACT is not required for applicants studying outside of the United States regardless of citizenship. But, the students from U.S high schools are required to submit the SAT/ACT for scholarship consideration. 3. The Scholarship Committee will make the final decisions on all scholarships. Nationality: International Students can apply. 1. Complete and submit the common application online. Transcripts, Mark sheets, certificates, examination results etc. 3. If you are a student from any high school in U.S then submit SAT or ACT score. 4. Complete the school report by the applicant's high school guidance counselor and you will find it on the website. 5. Submit a letter of recommendation from your high school guidance counselor. It can be submitted by online.